﻿ The Gospel Youth could be a special band. Emphasis on the “could”, as prior to this debut album, everything has built up to that without being totally solid right now. They’ve managed to survive the Britrock purge with 2015’s EP Empires for a start, purely on the strength of enhanced melody, smarts and shirt-tugging emotion, following that with a victory lap in 2016 by releasing a brand new song every month for the entire year. Factor in increased success reaching even further than the UK (they’re currently treading the boards on Warped Tour, a fact that in itself signifies something big going on here), and a strong debut album is the only thing needed to cap off the first chapter of an already remarkable story. And really, there’s every reason that Always Lose shouldn’t do that. It’s deeply entrenched in the sleekest strain of early 2010s pop-rock for a start, with a penchant for smooth, rich melodies and heart-on-sleeve diary entries as lyrics over anything raw or raucous. And yet, despite all of that, Always Lose hits the joy receptors of the brain with the power of a nuclear missile, the sort of album that would be a guilty pleasure if it wasn’t so ridiculously easy to become sucked into. It mightn’t be the coolest album, especially at this moment in time, but Always Lose is virtually flawless in terms of a marriage between pop-rock’s love of utterly gorgeous melodies and the sort of poignancy that really can do some wonders. The only real problem is there isn’t a great deal to say about it, as The Gospel Youth are still very much in line with the hyper-melodic Britrock whose sound has become so ubiquitously known. Their particular take is a bit lighter and more layered, incorporating more pianos and softer arrangements on tracks like I Will Deliver You To The Fireflies and Revolutions which throw back to the piano-led emo of the mid-2000s, or the beautiful crescendos of Tired Eyes & Heavy Hearts. Anger or harsh emotions of any kind are stripped back completely, and there are moments that verge on becoming toothless because of this – Your Love Is A Cancer definitely sounds nicer than it really should – but with the deft command of completely undiluted melody that they have, The Gospel Youth manage to skirt around anything overly trite. But the things that make The Gospel Youth stand out most are twofold, the first being frontman Sam Little, with a vocal performance that evokes Brendan Urie in terms of range and showmanship, and the sort of thing that has personality and verve by the truckload. The default setting of a buttery mid-range driving tracks like Moods Like English Weather is enticing enough, but when sat alongside the building swell and drama of Gin & Black Coffee or some truly stunning notes on Revolutions, it’s easily a more attractive prospect than just another faceless Britrock singer. The second is perhaps the most important though, and that’s The Gospel Youth’s knack to spur on floods of emotion as if it’s the easiest thing in the world, by no means other than evocative imagery and Little’s ability to convey post-adolescent struggles in a way that’s crying out to be embraced. There’s such a simplicity to their power here, whether that’s in watching a loved one hospitalised on I Will Deliver You To The Fireflies or simply succumbing to feelings of depression on Moods Like English Weather, or a sense of purpose that can’t be lived up to on Wildfire, feelings that have that universality that’s bound to resonate with so many. But there’s still the acknowledgment of hope, which is why Spirit Of Boston feels so defiant, and in reminiscing of an old couple making plans to leave home and pursue their dreams on Kids, or just the memories brought on by a photo of a day out in Brighton on Bloodlines / Love Stopped Me Coming Home, there’s the assertion of how important it is to keep hoping, and the joy when finally comes through. Now that all might be giving The Gospel Youth a bit too much credit. After all, this is pretty meat-and-potatoes pop-rock with an emotional sentiment that doesn’t exactly smash any boundaries. Even so, Always Lose strikes such a chord with a simple yet effective approach to what it does that pays off hugely. The hooks really are well-crafted enough to keep that spirit intact, and with Little essentially being in a league of his own in terms of pop-rock vocalists, The Gospel Youth are easily elevated above the mire that so many of their contemporaries have become lost in into something much brighter. 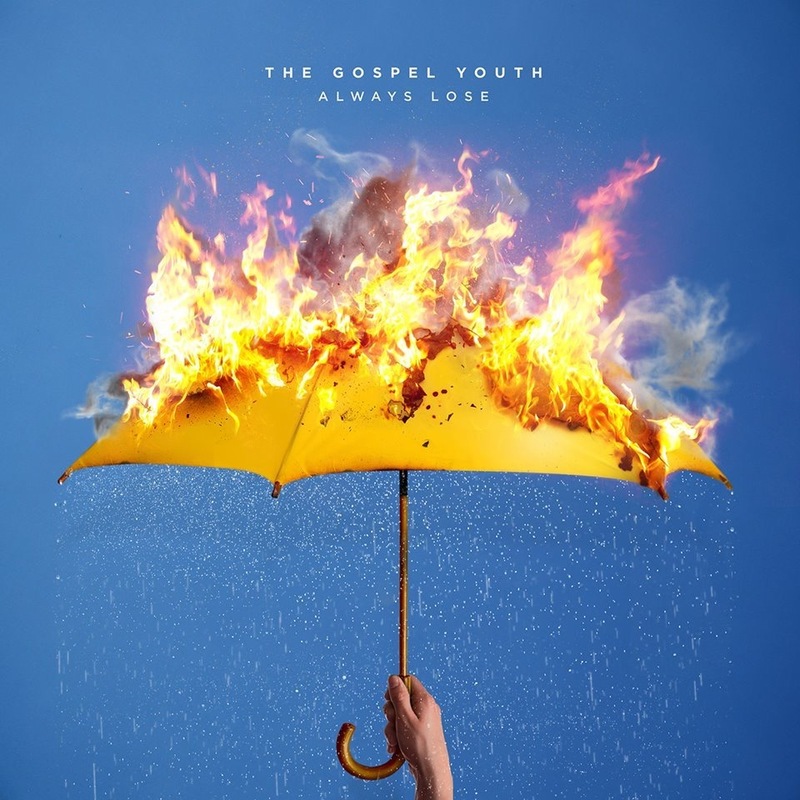 For a band who claim they always lose, The Gospel Youth have sure come out swinging with this one. ‘Always Lose’ by The Gospel Youth is released on 14th July on Rise Records / Velocity Records.